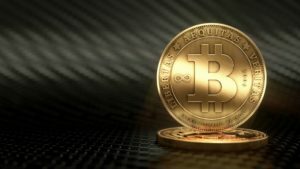 Bitcoin 101: What is This Bitcoin You Speak Of? New Money You Say? What is This Bitcoin You Speak Of? Before we go into that you must first assess what is valuable to you. For some of what I have listed here may not be important to you but it has proven to be valuable to a lot of people. So let’s begin, let’s say you want to buy a candy bar. You pay in cash and you received your candy bar. Only you and the merchant knows about this financial transaction. Now, you want to do this same transaction digitally. Problem is someone else is going to know about it (Bank of America, Chase, Wells Fargo, Western Union). You could not send money to anyone electronically without a third party knowing about it. With bitcoin, you can now do that, at least mostly. Where’s why. This is bitcoin.org’s bitcoin wallet by the way as stated on their website. Bitcoin wallet names like these can be publically found. In a typical bitcoin transaction, it will be said bitcoin wallet address sent one bitcoin to another bitcoin wallet address. Thing is, we don’t know who owns these bitcoin wallets, thus provides more privacy to people involved in this transaction. This is valuable to people considering nearly all our lives are monitored in some way shape or form. To address the not backed by something, the Blockchain plays a big part in the value of bitcoin because notice how you can send and receive bitcoins much faster than we do with our system? You know the, “we’ll refund your money in 3 to 5 business days” that doesn’t apply to bitcoin. To learn more about what a Blockchain is click here. Bitcoin belongs to no government, so it can’t be taken from you. If you think they will then answer me this how can they? It’s like them trying to shut down Limewire. Look how long it took for them to accomplish that when another software easily replaced Limewire. Not to mention, anyone in the world who is using the Blockchain, Bitcoin will live on and any other cryptocurrency. Because like Limewire the Blockchain is a huge network of computers connecting to it and expanding it every day and simply going to one company to shut it down won’t work. Also, Bitcoin belongs to no bank thus the term “decentralized currency”. These are some of the things that made Bitcoin valuable. Oh and back in 2013 the country Cyprus’ financial system imploded similar to what happened in Greece. Guess what people used as a medium of exchange? You guessed it, Bitcoin. Companies that move Bitcoin can be hacked. Companies who created trading platforms can be hacked. Mt. Gox is the biggest example of this. Bitcoin itself CAN NOT BE HACKED. You can easily find the source code of bitcoin online and it is viewable to anyone. AM I LEFT BEHIND NOW THAT BITCOIN IS OVER $10K? No you are not. You can start as little as $5. You will simply receive $5 worth of bitcoin. It’s that simple. Dr. Boyce Watkins, said it has in the past. Bitcoin was worth $800 in February of this year in 2017. When it used to be over $1,800. If you had $200 worth of bitcoin in February this year you’d have over $2k in bitcoin today. Did any of us expect it to hit over $10k this year? Nope. So what if bitcoin crashes, because it could easily hit $50k per coin next year. Question is, can you ride out the storm? If that’s true, then why have so many people invest their own money and started businesses based on bitcoin? Many is an understatement so let’s look at the numbers, according to coinmarketcap.com Bitcoin has a market cap of over two hundred billion. That’s BILLION WITH a B. More than likely the number is way higher than that. Did you know there are bitcoin ATM machines? Yes, all over the world people started businesses on moving bitcoin for people through ATM machines. I can go to my local mall today and put in cash and they will send me bitcoin to any bitcoin wallet of my choosing. Is bitcoin in a bubble? Or is bitcoin revealing how worthless the dollar has become? I think there is a growing trend of Americans known the dollar doesn’t buy as much as it used to and Bitcoin is further emphasizing what we already knew. For history says, a POUND not a loaf a POUND of bread was worth no more than 20 cents in the 1920s. People today think it is normal to pay over a $1 for a loaf. My point is this, people know the price of things, not the value. So who are any of us to know the true value of anything since we priced everything in dollars for so long. If Bitcoin hits $100k are you still going to say it’s still in a bubble? Or are you going to say I’m using the wrong medium of exchange to purchase your everyday goods like food. First, you need a bitcoin wallet. A popular service is Blockchain.info. If you want to use cash, you can find your local bitcoin ATM machine. There’s an app called Coin ATM Radar. This allows you to search for any bitcoin ATM machine local to you. Now the exchange rate WILL NOT be in your favor. But it’s an easier way to get started and provide more privacy to you. BE WARNED DO NOT LOSE THE PASSWORD TO YOUR WALLET OR YOU BITCOIN WILL BE GONE. There’s plenty of tragic stories of people losing passwords and losing a fortune. © 2019 Digital Living Space.